Japanese Citizens Typically Find Which Popular American Soda Flavor Revolting? If you’re looking to break into the Japanese soda industry, you can do it with just about any flavor; blueberry, bubble gum, watermelon, and even wasabi-flavored sodas have all sold briskly in Japan. 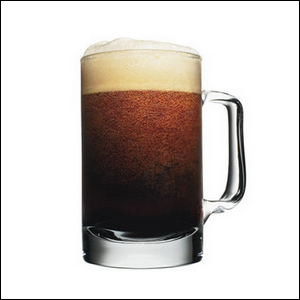 There’s one flavor that, much to the surprise of American readers we’re sure, has never taken off in Japan: root beer. The American market for root beer is enormous. A typical large grocery store in the U.S. usually has several different kinds of root beers from both major soda companies and smaller brewers; nationwide there are over 2,000 different kinds of root beer. The American market is the largest for root beer, and it remains a bit of an anomaly. Why did root beer take hold of the popular palate in the U.S. but is regarded as disgusting in Japan (and, for that matter, most of the world)? The reason for root beer’s failed market grab in the global market is simple: to most of the world it tastes like medicine. Anise, a seed used in traditional root beer flavoring, is used to flavor medicine in Japan, Europe, and other places around the world. (The use of anise as a medicinal flavor isn’t arbitrary as the seed has a long history of use in medicine, primarily as a digestive aid). In fact, the U.S. is one of the few places where using anise as a medicinal flavoring is unheard of. So to someone raised in a country where anise is used in medicine, cracking open a cold root beer and taking a swig is like taking a swig of cough medicine.